Since Dragon2000 announced it had become a Facebook Marketplace listing partner just over a month ago, hundreds of car dealers have taken advantage of the free integration within our dealer management system to boost their sales and online presence. Thousands of used vehicles are now being advertised on Facebook Marketplace by DragonDMS users, and the number continues to grow every day as an increasing number of our dealers have the free feed enabled. 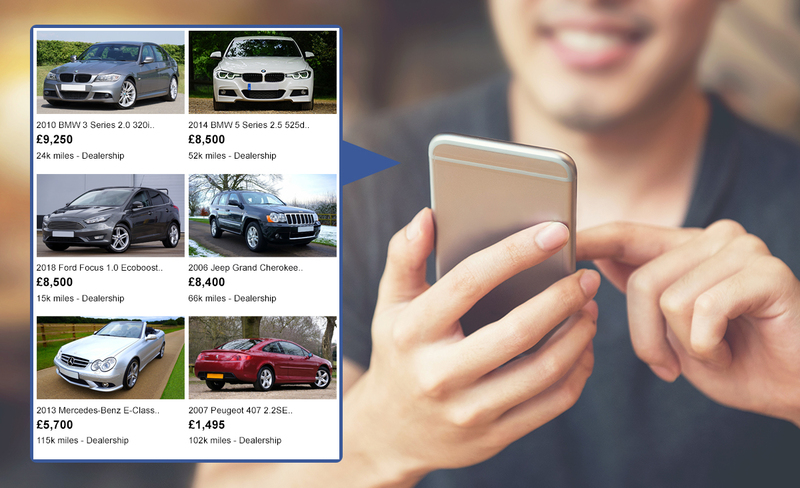 By listing their adverts on Facebook Marketplace, dealers can target car buyers on-the-go with mobile-friendly adverts, allowing people in the market to view details such as pricing, mileage, location and the dealer’s details, which can be used to make an enquiry via the listing. By default, Marketplace shows listings within 40 miles of a person’s location, but they can change this setting as needed if they are actively searching for vehicles, and also filter out the individual listings to only show those posted by dealerships. Car Dealers can send their used vehicle stock directly to Facebook Marketplace from the DragonDMS, with all the resultant enquiries automatically being integrated straight back into the dealer management system, ready to be progressed using our easy-to-use Customer Relationship Management (CRM). This is a great time-saver for busy dealers, removing the need to use different systems for managing enquiries. Facebook Marketplace do not charge commission or listing fees for dealers advertising their used vehicles, but there may be costs associated with setting up inventory feeds through a listing partner. Instead of charging set up fees and/or ongoing add-on fees for our stock feed integration with Facebook Marketplace, Dragon2000 are providing this service free for DragonDMS users, included within the wide range of online advertising feeds available within the dealer management system. For more information about the DragonDMS and the Facebook Marketplace integration, or to activate the free feed if you are already a DragonDMS user, please contact our Sales team at sales@dragon2000.co.uk or call 01327 222 333.